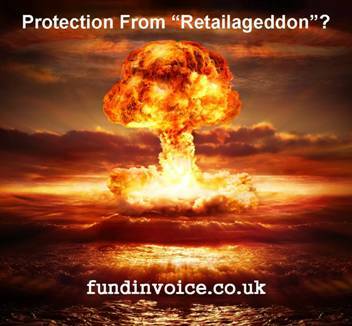 Since my last post about how "Retailageddon" is unfolding in the UK high street, there have been further stories emerging about problems continuing to threaten the UK retail sector. Wesfarmers have just announced the sale of Homebase, the DIY chain, for just £1. Accounting for both the purchase price, and losses incurred, it is estimated that acquiring Homebase has cost the firm in the region of £1 billion. There been further stories of closures on the High Street. Poundworld are apparently closing 117 stores by the end of August. Marks & Spencer‘s are set to close over 100 stores by 2022 and House of Fraser may axe up to half of their stores as part of their turnaround plans. These will inevitably lead to less money being spent by those that are no longer employed - compounding the situation. B&Q have just reported a 9% decrease in sales turnover for the three months to the end of April 2018. In addition to these troubles affecting the UK retail sector, more has emerged about the position of Carillion prior to its collapse. The former second largest construction firm in the UK was apparently using a number of aggressive accounting techniques, which hid it's ailing health, prior to the collapse. Estimates are that the collapse could cost the supply chain £2 billion. With so many firms reporting problems, it is difficult to predict who may be next. At the present time, bad debt protection is still widely available (this could change at any time) and it can prevent you from suffering losses if your customers get into financial troubles. If you would like to understand more about how to protect your business from these kinds of issues, please contact Sean on 03330 113622 for a free, confidential discussion, without any obligation about the benefits of bad that protection.